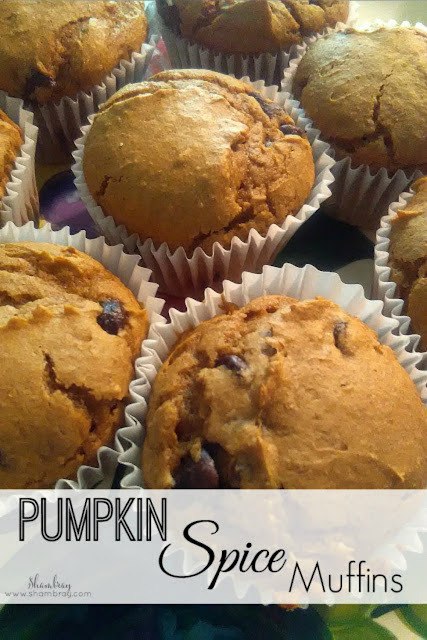 Ashley is back in the kitchen and making the most amazing Pumpkin Spice Muffins! You can find out more about Ashley on the Contributors tab at the top of the blog. If you missed Ashley's first contributing post last month then you must go to that post and make those cookies as well as this amazing recipe she is providing for us today! Fall is here and I am in LOVE. There is something about Fall that just makes me smile. I can't contain it. With Fall comes Pumpkin Spice, right? I mean you have to have Pumpkin Spice. My husband is not a fan and I was so worried that my daughter would be the same way (they kind of share their likes and dislikes when it comes to food). However, I was so wrong. I would dare say that Pumpkin Spice just might be my daughter's favorite. She would prefer a pumpkin chocolate chip cookie over a normal chocolate chip cookie any day hands down. We both love muffins too. So this recipe has us all heart eyed over here. What's even better is how fast and easy it is. Oh and did I mention that the calories aren't through the roof either. Check it out and come back and let us know what you think! Happy Fall! Here's Ashley everyone! I'm all about made from scratch desserts. But there are times when you need a quick easy treat. 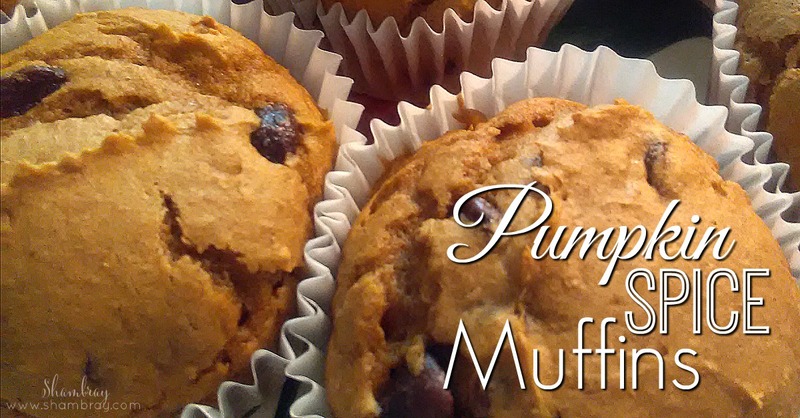 These muffins are cheap, easy, simple, delicious AND healthy! Mix all the ingredients together. 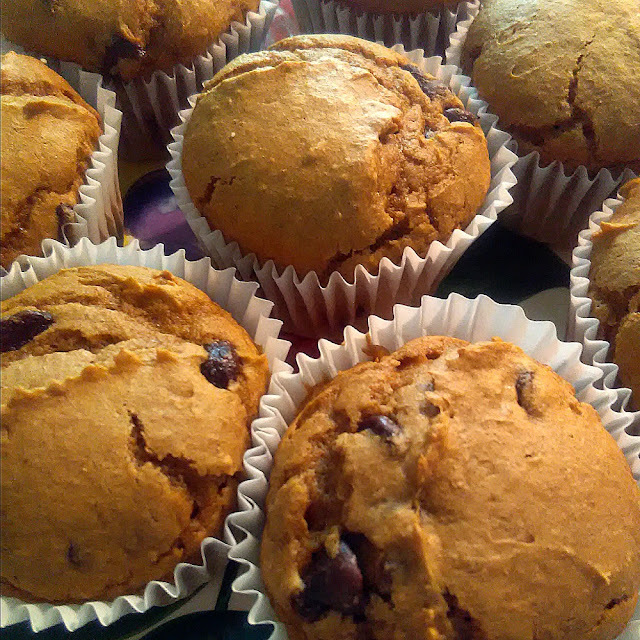 Use cupcake liners for less mess and bake at 350 for 19 minutes. 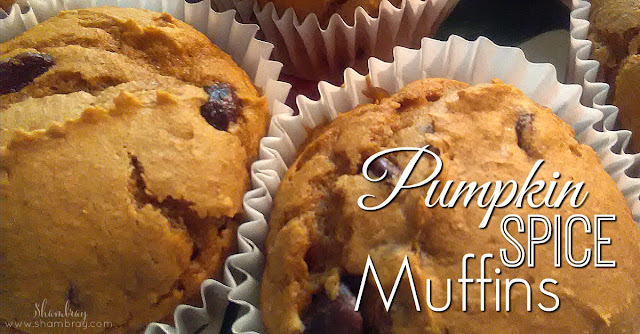 Makes 22 muffins. They are under 100 calories a piece!